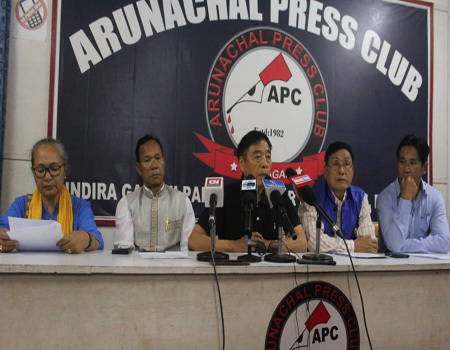 ITANAGAR, Feb 11: The lack of alternative routes, coupled with poor road infrastructure and lack of parking lots, has led to heavy traffic jams on the national highway joining the twin capital towns of Itanagar and Naharlagun. The traffic is especially heavy from 9 am to 12 noon, and between 4 and 7 pm. On weekdays, it takes four-wheelers about 45 minutes to an hour to cover the 12 or so kilometre distance from Itanagar to Naharlagun. A drive to Nirjuli or Doimukh takes nearly two hours for someone coming from Itanagar on busy days. 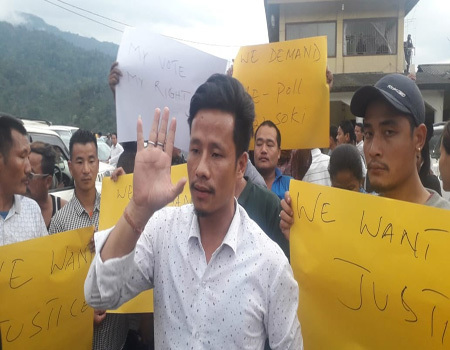 In Itanagar, the Ganga market, Bank Tinali and 0 Point areas have cars lined up bumper to bumper, while Naharlagun has it worse with little to no alternative routes from one end of the town to the other. The administration and the police had experimented with setting up a diversion in Naharlagun to ease the traffic flow. Capital SP M Harsha Vardhan informed that the diversion was not effective in controlling the flow of traffic, and had to be removed after a few days’ trail. With some portions of the national highway complete, vehicles within Itanagar now have wider roads to navigate around. However, the widened roads are only allowing reckless motorists, especially Tempo and Trekker drivers, to overtake and cause more jams. The delay in repairing the bridge in Division 4 and the culvert near ESS Sector in Itanagar has also left motorists with few alternative routes. “These two roads can take away the traffic load from the main highway,” the SP said.